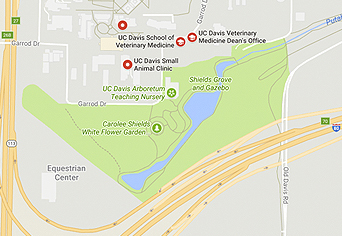 The University of California Davis hired Stone Imagery to create a donor wall for their new veterinary building. 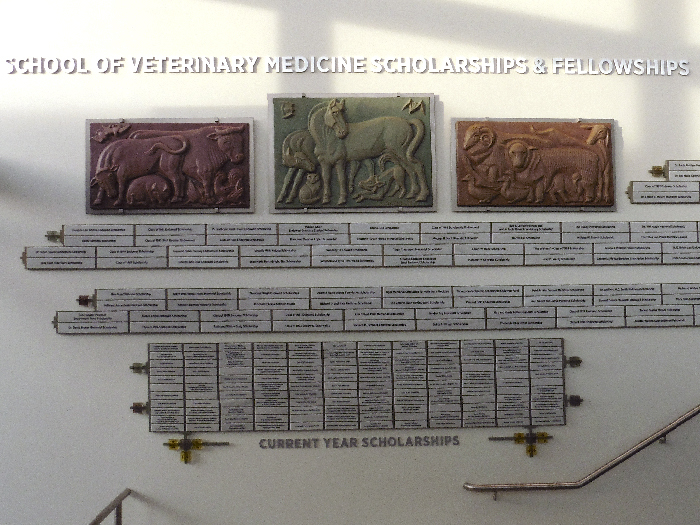 As part of this project, Betsy K. Schulz was asked to recreate the three 1949 original O'Hanlon stone sculptures that were part of the three 1948 veterinary building. 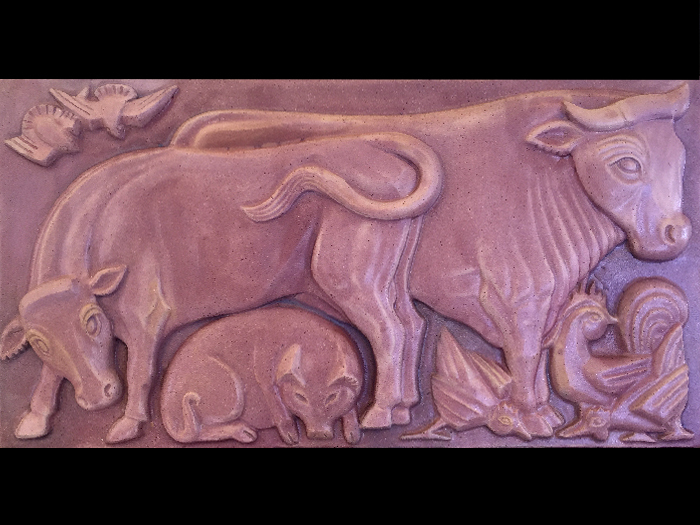 Betsy worked with her assistant Kathryn Schmiedeberg to sculpt these pieces in clay. 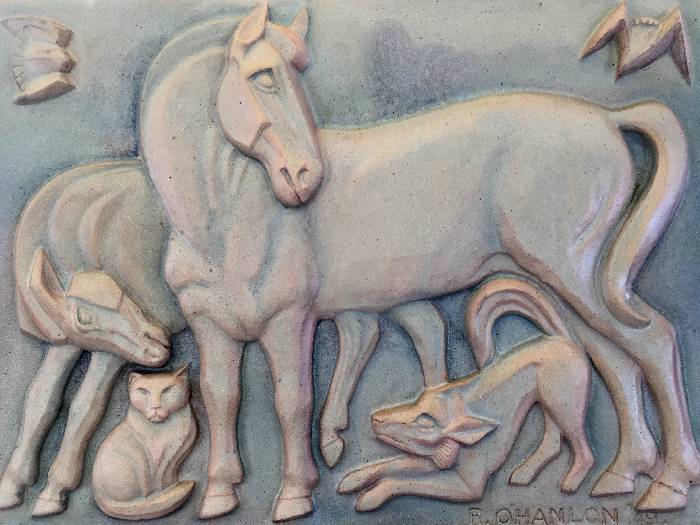 Then Laird Plumleigh made molds from the originals, custom glazed and fired the pieces in his large gas kiln. 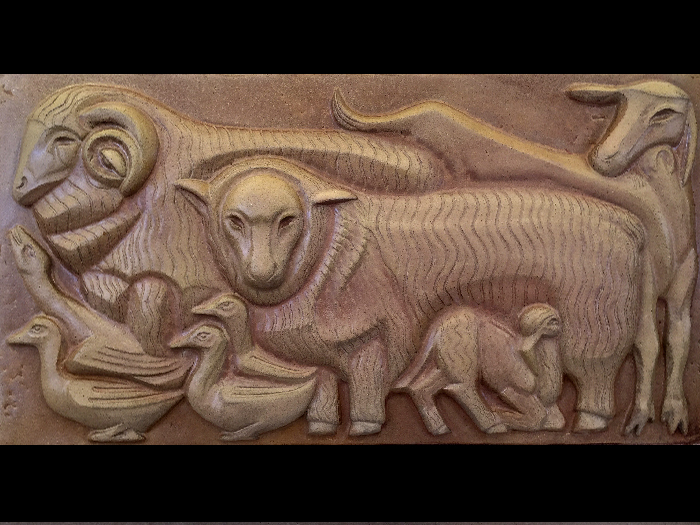 The finished panels are a modern take on a classic Art Deco sculptural style.